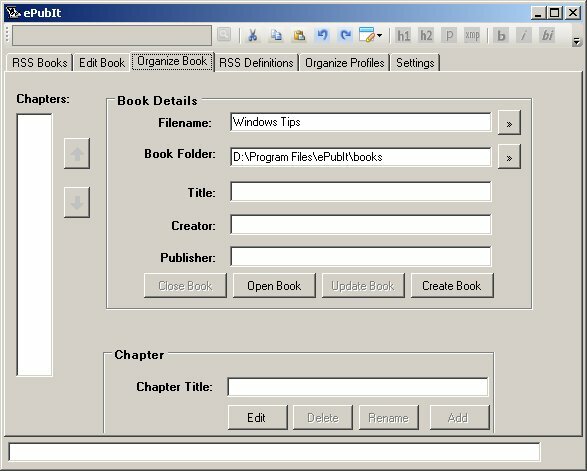 Reviews of programs that can edit ePub books. 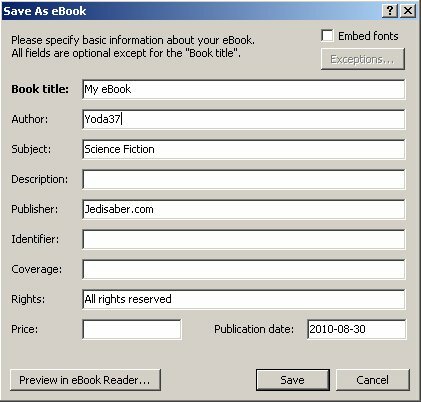 These programs can edit, create, or convert ePub books. Most of them are also ePub readers as well. Feedbooks is a wonderful site for downloading free books in the ePub format. Also, if you create an account, you can publish your own books too. The publish feature on the site is very akin to a wizard: You enter the title, author, and other information about the book, then enter create chapters and add text to them. Right now, there are a few minor hassles. For example: if you create a chapter, then want to move it up, there's no way to do it, and a few other such things. I've been informed that the process will be greatly improved very shortly. I'm also hoping for a "quick and dirty" option to directly convert from a single file (right now you can't). If your book is in the HTML format, you can use Book Glutton to convert it to ePub. It doesn't support images yet. The Online Coverter website has a host of tools for converting almost anything into almost anything else. One of these is ebooks. It can convert the following formats into ePub: PDF, Word (.DOC), HTML, Mobi, LIT, LRF, FB2, and many others. One thing I would suggest is to look at the output, PDF's for example don't convert well into anything. You may need to clean up your ePub book after conversion. 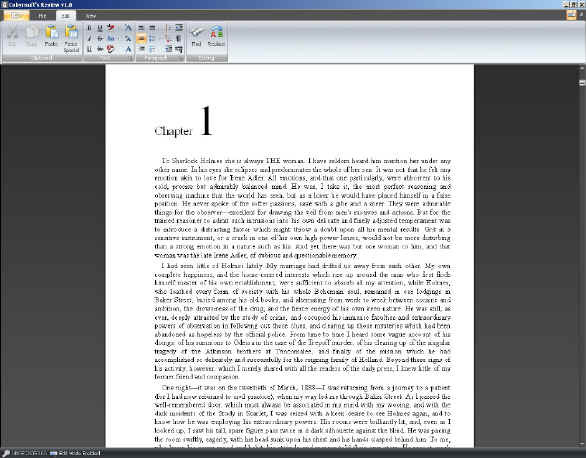 Open Office: Open Office can export to ePub with the Writer2ePub extension. 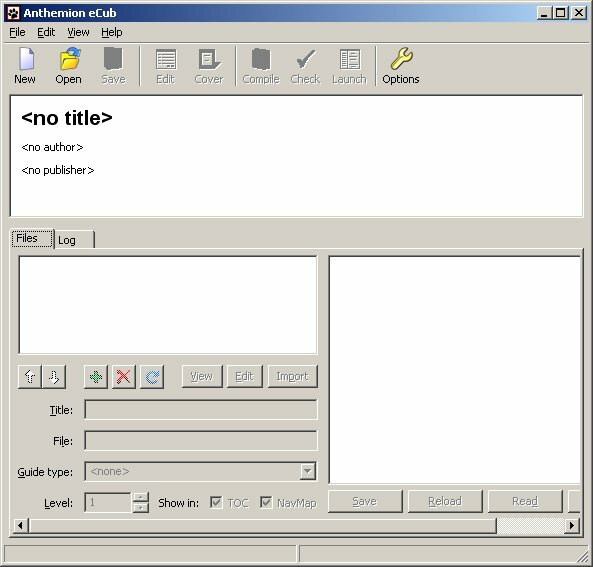 Jutoh: From the same people who brought you eCub comes Jutoh, a WYSIWYG ePub editor. Several people have pointed out that a free trial is available, so I downloaded it and gave it a test drive. Wow. I'm quite sure I can do just about any layout stuff I wanted with this program. The question is how. I'll admit I'm not a designer, but I have worked tech support and system administration for over ten years, and in that time I've casually used a number of Adobe programs. Even still, I couldn't figure out how to do anything with InDesign. If you're a professional who's used InDesign before, you'll likely have no trouble. I'd still recommend some kind of book on the latest version to make sure you're up to date on how to use features you haven't used before. 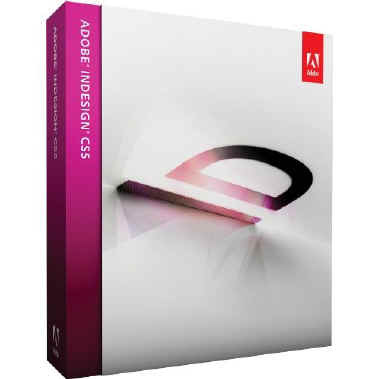 If you haven't used InDesign before, and are a relative novice who just wants to get your Word document into ePub format, save yourself a lot of money and a lot of headaches and don't get InDesign, use either Calibre, Sigil, or Atlantis instead. They may not have as many bells and whistles, but they'll do what you want with ease. I've had a few people e-mail me and confirm my opinion of InDesign. Basically, it's designed to to print layouts, and has had ePub support grafted on, and it doesn't work well for making ePub books. First I want to address the negatives, because I had to stretch to find them. Calibre imports all the books into it's library management system, and as part of that copies the file to the location that you specify when you install the program. This is great if you're just starting, but I find it slightly annoying that it duplicates hundreds of files on my disk. But then, I'm pickier about my hard drive layout than most. This would however, be very handy when importing from a backup disk. Just put the disk in and tell it to import, and it does everything for you. My other minor trifle is with the interface. There aren't any standard menus so you do everything with buttons. This isn't all bad, as everything has mouse-over help describing what the button or text field does. It's just a little different, and sometimes confusing. None of these are show-stoppers, or even annoying once you get used to them. Calibre is one of the most professional programs I've reviewed. By that, I mean that for the feature set I'd expect to pay for this program. It has all of the features I like from every other program I've reviewed, and almost none of the faults. I'll just highlight a few of my favorites. Excellent ePub format support. Calibre not only opened everything I threw at it, it fully supports the ePub table of contents. Internet access to books. Yes, there's an integrated server so you can access your collection from anywhere. And better yet, it lists them in a format that Stanza for the iPhone can recognize, so you can load books onto it if you can't or won't use the Stanza desktop program. You can also edit ePub books with Calibre, but unless you just want to tweak the meta-data, Sigil is a better choice for major edits. Calibre is faster and better at making those small meta-data tweaks, though. Output ePub files not useable on other ePub readers. Cobynsoft's Review can both export to ePub format, as well as read and edit existing ePub files. You toggle between edit mode and reading mode from a button in the upper right-hand corner of the screen. Editing and reading both look a lot like you're doing it in Word, only with a few less formatting controls, and a few more eBook specific options. If you can type, you can make or edit an ePub document. It's very tempting to compare this to Atlantis, as both are similar, in that they take a word processor and customize it for ePub documents. Cobynsoft's Review has an edge here, in that it can edit existing ePubs, instead of just export to them. The downside, is that it doesn't appear to support the ePub table of contents, either for editing, or creating it. Also, it correctly displayed images in some of the test files, but not in others. Also, a "New" button would be a welcome addition to the toolbar. After checking out the program, I made some changes to an ePub document and saved it. The file then opened fine in Cobynsoft's Review, but opened as a blank file in Adobe Digigal Editions. It also opened as either a blank file, or not at all, in every other ePub reader I have installed (quite a few of them...). I also made a quick file from scratch inside the program and saved it. It too, was either blank or would not open in any other reader. ePub IT doesn't read ePub books, but it does make them. A full review will be coming soon, after I've had time to play with it a little more. My initial impression is good, it looks like you can do everything from within the program, as opposed to other editors that just guide you through making the package, but still requires you to know some XML. eCub is also not an ePub reader, but an ePub creator. eCub does a great job of guiding you through assembling your book. If you have the content ready, run eCub and it launches a wizard that guides you through the process of creating an eBook. Just check some boxes, click "Next" a few times, and you've got an ePub book. The only downside is that if you have to edit your content, you have to do that by hand. Another thing I love about eCub is the clean output. If you open the resulting ePub file, it's as clean as if you made it by hand. Atlantis, as the name above implies, is also not an ePub reader, but it will export to ePub format. The biggest problem that I can fine with Atlantis is that it won't open .epub files. That said, it wasn't ever designed to. 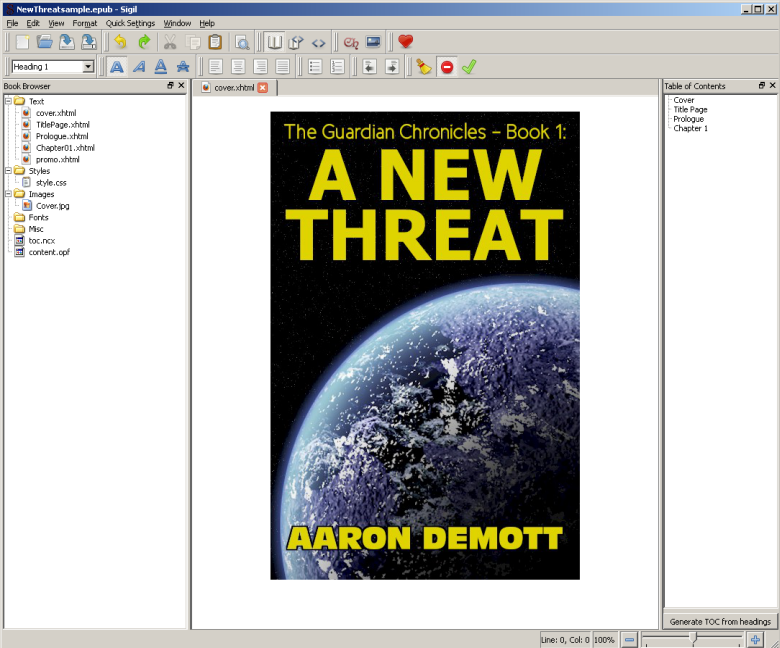 Atlantis is a word processor that can export to ePub format. The other problem I have with Atlantis is that you have to pay for it.... but after you've played with the trial version, you'll want to. Let's face it, I'm just cheap. :) Seriously, $35 US is cheap for what you're getting. Atlantis can do just about everything that Word and Open Office Writer can do, and export to ePub format. Exporting to ePub format was a pleasure. I started with an Open Document format file (.ODT). Atlantis opened it right up, and it looked just exactly like it does in Open Office. Saving to ePub is as simple as going to File>>Save Special>>Save as eBook. (That's right, eBook is properly capitalized in their menu!) This opens the box in the screenshot. That's all there is too it, no messing with zip files, XHTML, CSS, or any of the "wonderful" file editing to make an ePub book. A few new versions have come out, but there haven't been any major changes. Just improvements to quality of the ePub output. Sigil was pointed out to me from a reader of this website. And I'm glad they did! Sigil is great if you have an existing ePub book that you want to edit. Go to File>>Open, and bam, open for editing. No importing, no need to have the source documents handy, it just opens them. The Book Browser (the left-hand pane in the screenshot) combines the TOC layout with the zip file structure, letting you see how the content is laid out, as well as where the files are in the container, all in one window. If the source document is one long HTML file, Sigil will do everything needed to split it into separate chapters with the click of a single button. Adding images and other HTML files to the book is just as easy. Everything you need to edit your book is on one screen, but it still doesn't feel crowded. Well, almost everything. The Table of Contents editor is in a separate window. The editor is What You See is What You Get, so editing content in Sigil is as easy as a word processor. If you're not a fan of WYSIWYG, you can switch to code view (or both) with the click of a button. Saving your book back to ePub format is as easy as File>>Save. The TOC editor has been re-designed for version 0.5. Now it can either generate headings automatically, or you can edit them manually. Also, a spell-checker and file validation have been added. Sigil is under active development, and keeps getting better with every version. See the ePub Readers page for conclusions.